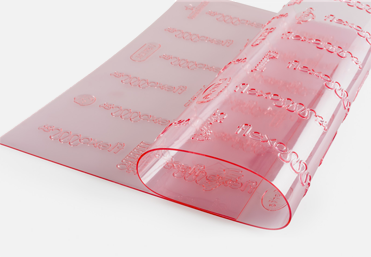 Kodak flexo plates take your flexo printing to an advanced level. use of automatic lamination with the Flexcel NX wide 5080 Laminator. Kodak, the most reliable system for flexo. How can you get the most visible improvement on printing? This is why Kodak Flexcel NX is considered the most reliable solution in the flexo printing market, because you can engrave plates with flat top dots below 1% with an improved optical density and print quality. Standard or Advanced from 1 to 5: 6 options of different patterns! 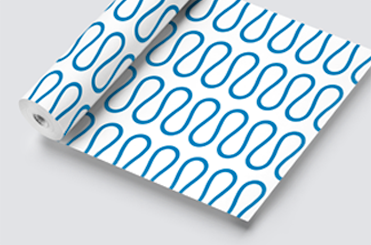 With the Digicap Nx algorithm it is possible to achieve optimal ink transfer and ink coverage thanks to the surface of the flexo plate, which is characterised by microcells of 5x10 microns and a very high pattern density. There are many specific solutions with different densities in the micro-pattern (texturisation of the plate) suitable for each of the various applications in flexo printing. Use recommendations for the White Ink. Pattern selection for solvent-based white ink to print on film. Use recommendations for UV and water-based inks are now being developed. In addition to the Standard pattern, 5 more patterns defined as “Advanced” are available. These can be divided in 2 groups. 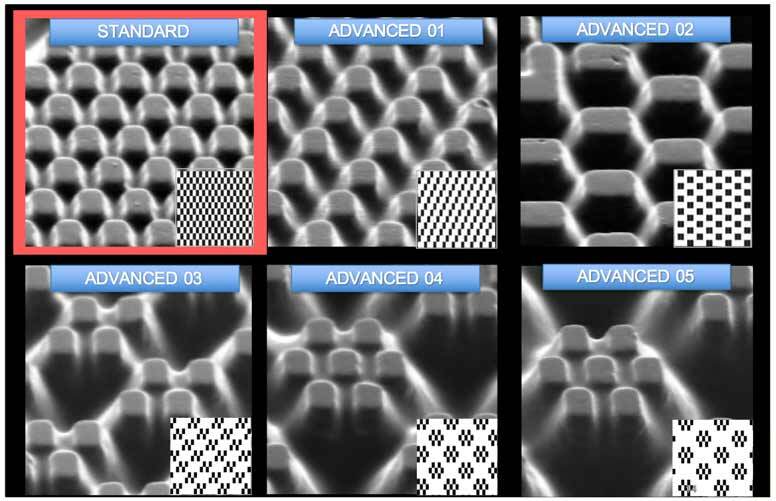 1) Standard, Adv01 and Adv02: suitable mostly for a high screen count anilox with a volume below 4 bcm (6,2 cm3/m2). These are usually employed for CMYK, screened colours and full tones. 2) Adv03, Adv04 and Adv05: these work better with a low screen count anilox and volumes above 4 bcm with a high ink transfer. These patterns are usually employed for non-screened Pantone colours or for the white ink. Suitable for full tone ink. 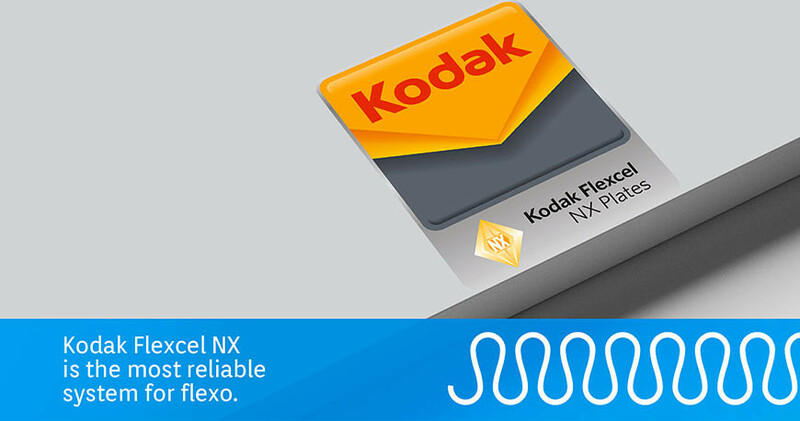 The image represents the 6 patterns that can be selected with the Kodak Flexcel NX technology. In each frame: magnified surface. Bottom right: screen pattern seen from above. How to select the right pattern for your printing machine? Buy your calibration test for the Kodak patterns, print and then check which pattern has the higher ink density by using a densitometer (tool to measure the quantity of colour spread on the substrate). Decide which is the best result as to ink coverage and cleanness (uniform screen). Order now the Kodak calibration test to choose the right pattern for your printing system!